Didn’t pass the TAKS, TAAS or TEAMS exit tests? You may be able to still graduate. 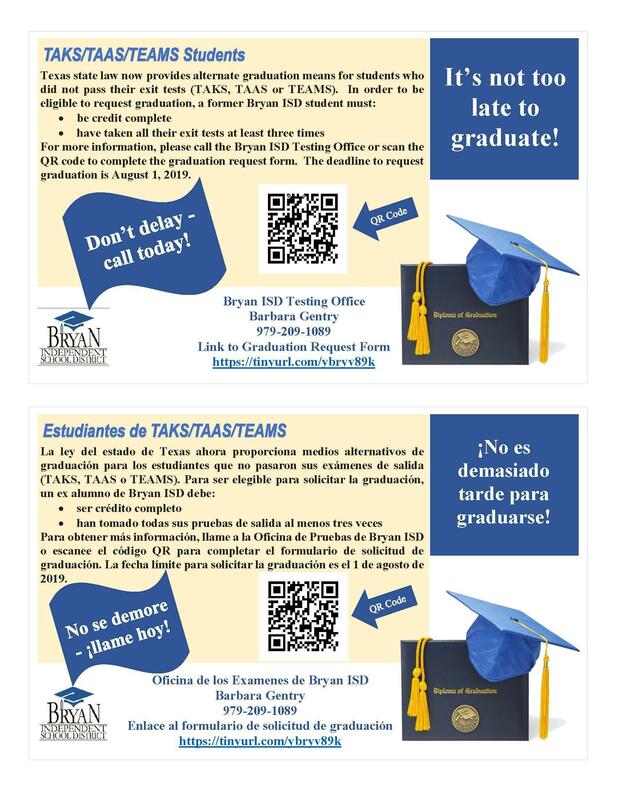 For more information, please call the Bryan ISD Testing Office or click here to complete the graduation request form﻿. The deadline to request graduation is August 1, 2019.